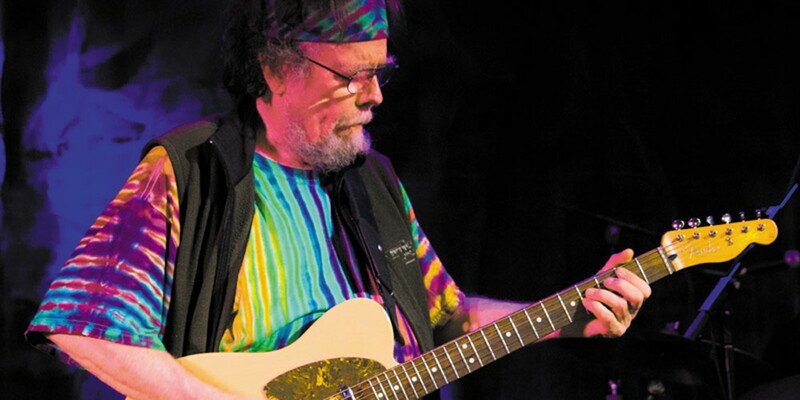 The David Nelson Band plays Friday, June 10 at 7:30 p.m. at Beginnings in Redway. As much as it might make my life easier here in Humboldt County, I cannot pretend, nor claim, to be a Grateful Dead fan — hereinafter referred to as "Dead Head" — of the highest order. Although I knew a few fans growing up in L.A., The Dead just weren't really in my musical orbit during my teenage years. I tended to lean toward music less optimistic and "feel-good" than The Dead — I don't know if this was a good or a bad thing — but that all began to change when I moved to Humboldt County. My first year in the dorms at HSU put me in direct contact with plenty of 18-year-old Dead Heads and I was exposed to endless jams by the band, with Phish occasionally making a sonic appearance down the hall. I can't say that I was immediately turned on, but I was at least exposed. My roommate at the time was a die-hard gangster rap fan (Biggie, Tupac etc.) but would oddly crank the occasional Doors album or American Beauty and Blues for Allah by The Dead (go figure). Getting a job in radio is when I started to understand The Dead. Although I still can't claim to have half my house taken up with bootleg recordings, I can now say I fully appreciate the band. That came about by the special relationship we as a county have with The Dead. Being close to the epicenter of Dead Country, Humboldt received a mass influx of folks fleeing the unnaturalness of city life in the '60s, many of them already musically enlightened Dead Heads who would shape the musical soul of Humboldt County. Although a sad story and maybe a side note, it perhaps bears mentioning that 5-year-old Jerome Garcia was on a family vacation in and around Arcata when his fly-fishing father drowned in the Trinity River. Anyone who's lived in Humboldt for a few years knows there is a certain Deadness to the fabric of musical life here in Humboldt. It's for that reason, and perhaps also related to a certain type of flower grown in our hills, that many of the Grateful Dead family keep coming back, year after year, festival after festival, to what we call home. Will Bobby or Phil come up here any time soon to jam? It's doubtful, but luckily enough, this weekend we have multiple members of the extended Dead family playing in Humboldt. Read below for more info, and keep on truckin'. If you're wanting to ease into the weekend, you've got a great chance to check out some good local jazz with Brian Post & Friends, who will be at the Palm Lounge in the Eureka Inn at 7 p.m. It'll be a free show so your list of excuses just got a lot shorter. Go support local jazz musicians. Another heavy hitter returns to Humboldt County to delight and please our local Dead Head community. 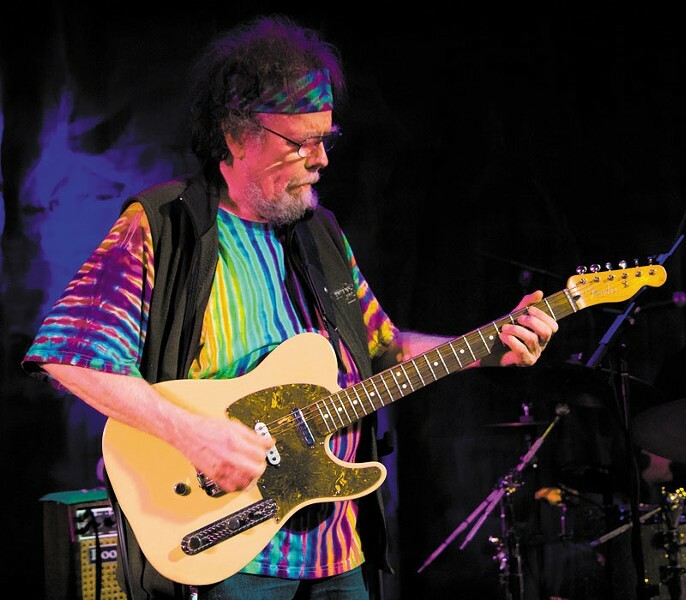 The David Nelson Band will take the stage at Beginnings in Redway around 7:30 p.m. The one time Wildwood Boy, New Rider of the Purple Sage, and Grateful Dead contributor seems to enjoy returning to our strange trippy neck of the woods, and we should be grateful for that. Expect maybe one or two Dead songs if you're lucky and you know the jams will be top notch. Opening this $30 show will be Francine Allen and Delaney Holland who start things off around 6:30 p.m.
Back up Northern Humboldt way you find the BPBS fest continuing in Arcata at The Sanctuary at 8 p.m. as a plethora of artists provide an improvised soundtrack to Akira Kurosawa's 1990 film, Dreams. As the film is projected, bands will perform — behind the screen I think — creating an impromptu musical score. $12 will get you in the door to the all ages show, where you can hear the following bands contribute their partial soundtracks: Datura Blues, Electro Kraken, Beat Totem, ORRRA, Opossum Suntrail, Johnathan KipP, Die Geister Beschwören and Leone. Got it? At The Miniplex — which I've been accidentally referring to as Richard's Goat Tavern and Tea Room for a while now — you'll find The Stargazer Lillies gigging to support their latest album, which I hear will please those who have an affinity for Joy Division and My Bloody Valentine. Joining the Lillies at 9 p.m. will be locals Gobi Blank and "Arcata Krautrockers" D3D. Bring $5 for this three-band bill. Blue Lake hosts Kingfoot at the Logger Bar with Blue Laker Snubby J on the now-famous RimbaTubes for a free 9 p.m. show. Dead fans have another opportunity to hear an artist who has been in and out of the Jerry circle for a long while. Melvin Seals and JGB return to Humboldt County and Humboldt Brews at 9:30 p.m. You know what to expect from the sweet and rippin' sounds of his B-3 which never disappoints the crowd. $25 ticket price, but grab 'em while you can. Cafe Mokka has a free all ages show tonight at 8 p.m. Head on down and before you soak in the tubs listen to the "Eastern Euro" sounds of locals Chubritza. The BPBS fest continues at The Miniplex as Datura Blues release its new album Serpent of the Obsidian Knives, which has been five years in the making. Along for the ride are Portland friends Beat Totem and Electro Kraken, who will start this $5 show off around 9 p.m. Missed Melvin Seals and JGB last night? Or just want to ride the waves again? They're back at Humboldt Brews, same time and same price as last night. Ian of The Alibi informs me some angsty-indie-rock will be provided at said venue by locals Chachi Hands who will be closing out the show after the "queer punk" from Grass Valley rockers Slutzville fills the Alibi at 11 p.m. As usual, this Alibi show will be $5, supports Humboldt Free Radio, and will go late. Made it to enough shows this weekend? It's not even technically summer yet, but it seems that things aren't slowing down here in Humboldt County. The weekend's not technically over, so if you want a nice musical end to the week, head over to The Lighthouse Grill in Trinidad to hear the sweet and powerful voice of Dee Hemingway, who will be performing at 5 p.m. for free. Full show listings in the Journal's Music and More grid, the Calendar and online. Bands and promoters, send your gig info, preferably with a high-res photo or two, to music@northcoastjournal.com. Andy Powell is a congenital music lover and hosts The Night Show on KWPT 100.3 FM weeknights at 6 p.m. He is not as grateful as he should be.